Rounds are the perfect investment variation for those who are not fond of silver bars. The difference that generates this variation is the weights in which silver bars and rounds are available. 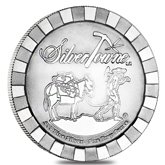 While silver bars can be found in larger sizes, like 5 oz, 10 oz or even more heavy options, rounds, just like coins, are often manufactured only in 1 oz sizes or even smaller weights. This is why bars are preferred by investors that like to buy bulk quantities of precious metals, but rounds by those who want their smaller size options. Why you should consider buying rounds? There many reasons why you should invest in silver, especially rounds. First of all, rounds produced of silver are considered the most affordable silver investment choice due to their small sizes and lower price points. Secondly, rounds are easy to trade, store and count because they have uniform sizes and shapes. Silver makes is an extremely valuable precious and industrial metal, the popularity of this metal has contributed to its scarcity. Over the last 20 years, because of its intensive use as an industrial metal, silver stocks and supplies have shrunk and become more limited, turning rounds into the perfect solution for investments in precious metals. 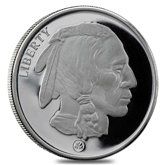 Also, many silver collectors choose rounds over silver coins in order to avoid the premium on silver coins. Rounds may also be applied to Precious Metals individual retirement accounts, adding to their appeal. This option presents a solution to those who don’t want to be prone to the fluctuations in the financial markets. Some investors prefer silver 1-sized or fractional rounds because they are easier to be stacked and stored while others choose larger rounds with 5oz or 10 oz weights. You can take a look at the following round sizes and manufacturers before choosing the best option for you. 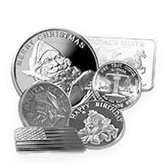 Many rounds of silver are produced in 1 oz denominations. Even though they look very similar to silver coins, they are not minted by government mints, therefore they do not bear a face value. Each round is minted by private mints instead of governments. Usually, rounds are produced as commemorative releases, but most of them have only featured the inscription of their mint brand on their either side. In addition to the mint logo, rounds must have the weight and silver purity inscription. Rounds are an excellent option for those who want to invest in smaller sized silver, such as 10 oz, 5oz or 1o. sizes. Fractional weights are also readily available for purchase and are a popular acquisition for first-time buyers because they are an affordable approach to beginning a bullion collection. Fractional rounds can be found in ½ oz, ¼ oz, 1/10 oz, and 1/20 oz weights. Private mints typically specialize in the manufacture and production of rounds specifically, such as the Republic Metals Corporation, Sunshine Mint, Elemetal Mint, and Ohio Precious Metal Mint. The Republic Metals Corporation, also called RMC is one of the largest international precious metal refineries and mints. It’s well-known for using its innovative technology called “green refining technology”. 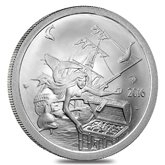 Due to this specific technique, RMC rounds are exclusive high-quality products struck from .999 pure silver. 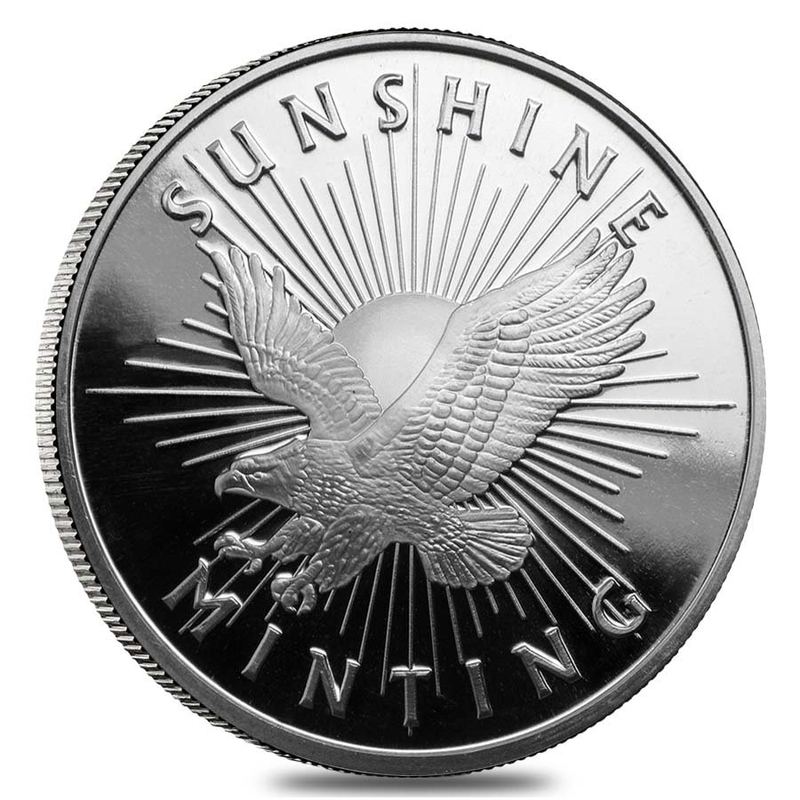 The Sunshine Mint is a notorious American mint located in one of its richest places in silver - Idaho. 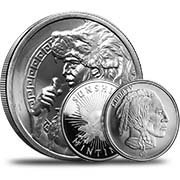 The company is an exclusive mint because it’s a famous supplier of blank silver coins for many international mints, including but not limited to the United States Mint, and other worldwide financial institutions and private corporations. 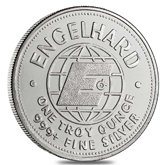 The Elemetal Mint is a joint force of the three well-known mints: NTR Metals, Ohio Precious Metals, and Provident Metals, that produces outstanding rounds of the highest silver purity using innovative processes. The OPM also known as the Ohio Precious Metals is one of the companies which form the Elemetal Mint. It’s famous for using recycled silver for manufacturing their rounds and bars. If you are interested in purchasing rounds, feel free to order by phone at 1-800-852-6884. If you are shopping online, please do not hesitate to utilize our live chat features. You can also connect with us by email at info@bullionexchanges.com, so do not hesitate to contact us if you have questions or require assistance.